In today's karate class, Bob sensei offered private lessons of Tonfa and Sai for me. 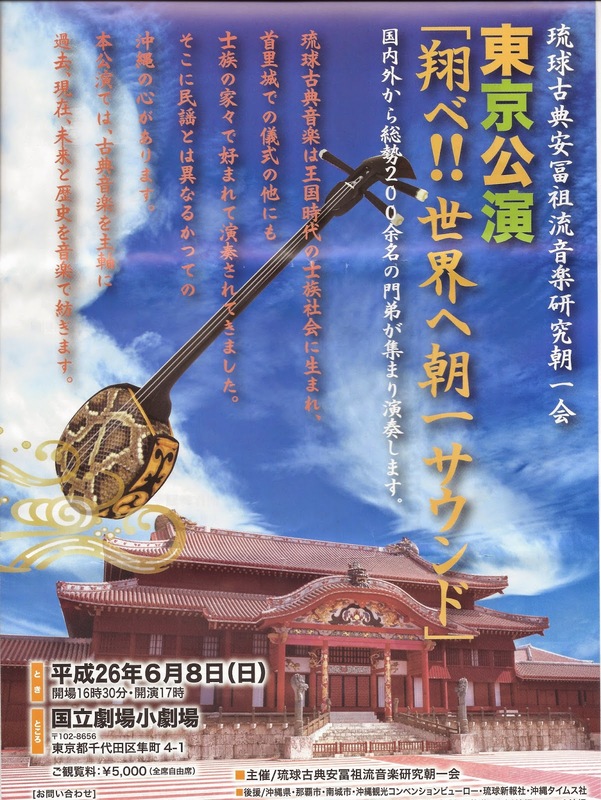 it is a long-and-hard class but I enjoyed Bob sensei's weapon lessons very much. One of my favorite color is turquoise. I found a turquoise hat at Macy's last weekend. The hat reminded me a shape of Audrey Hepburn's in Breakfast at Tiffany. The shape is called Mushroom hat. My allergy is bad last week and this week, but I am working on a vew bag today. This tote of gold brocade is really unique and it will be listed on my Etsy page soon! My favorite season in NYC is arrived! from a photographer Mr. Frank L. Fumelli. Thank you Frank for taking fine photos! 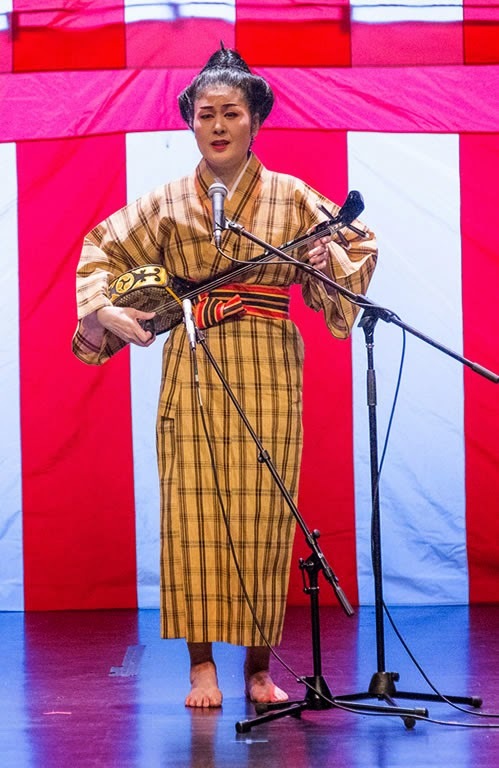 Kabuki Actor, Tamasaburo Bando, performed the Ryukyu Kumi Odori titled "Chifuijin Tanjo" in May at the National Theater in Okinawa. The photo is a copy of the Okinawa Times. 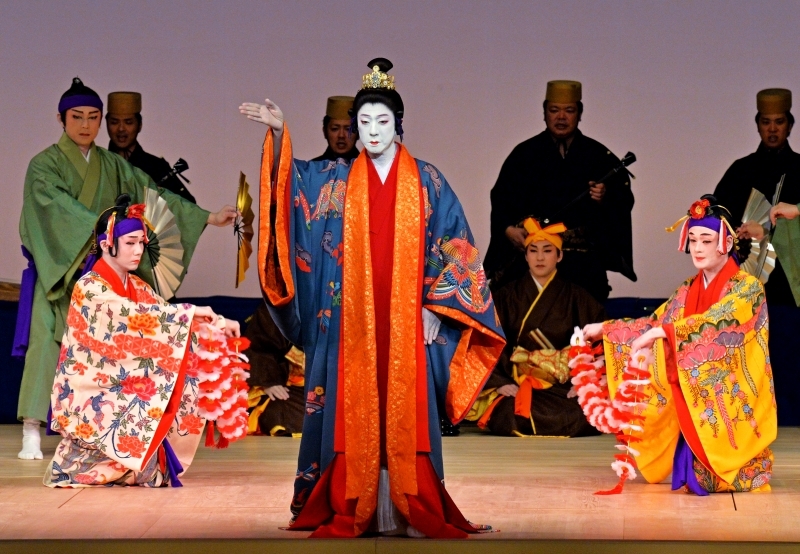 Kumiodori is a theatrical performance where a story is carried out using Lyrics (Ryukyuan Poem), music (Ryukyuan Classical song) and dance (Ryukyuan Classical dance). 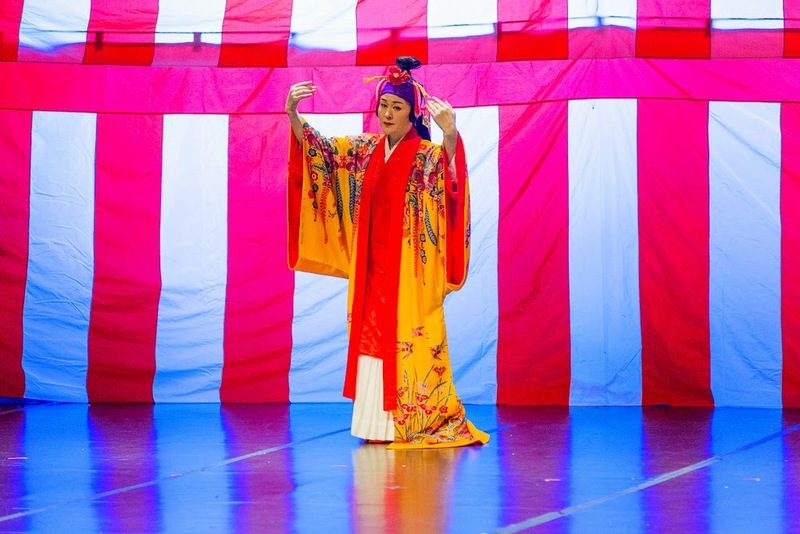 It was created with Okinawan's indigenous performing arts and traditions as its basis, with influences from Noh and Kabuki in 18th Century. 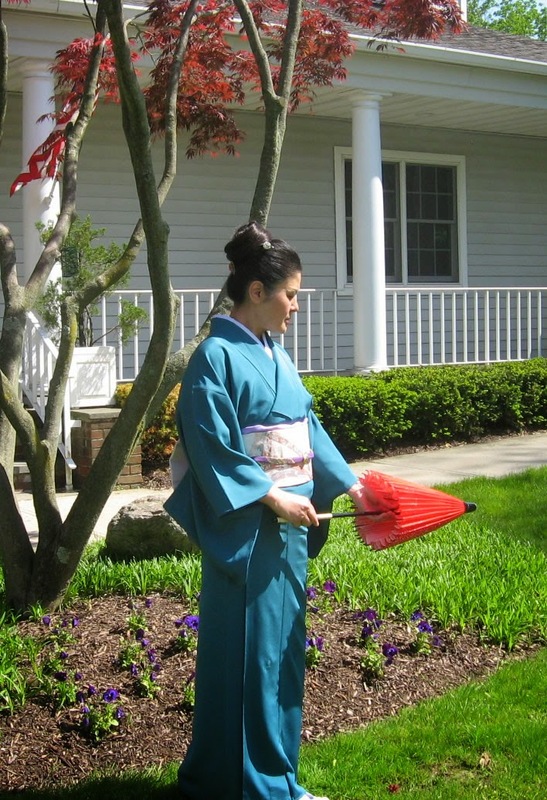 I am going out dressing in kimono today and took some photos in the garden. Today, my husband also attended the lesson. A photo was taken from the Throgs Neck Bridg. 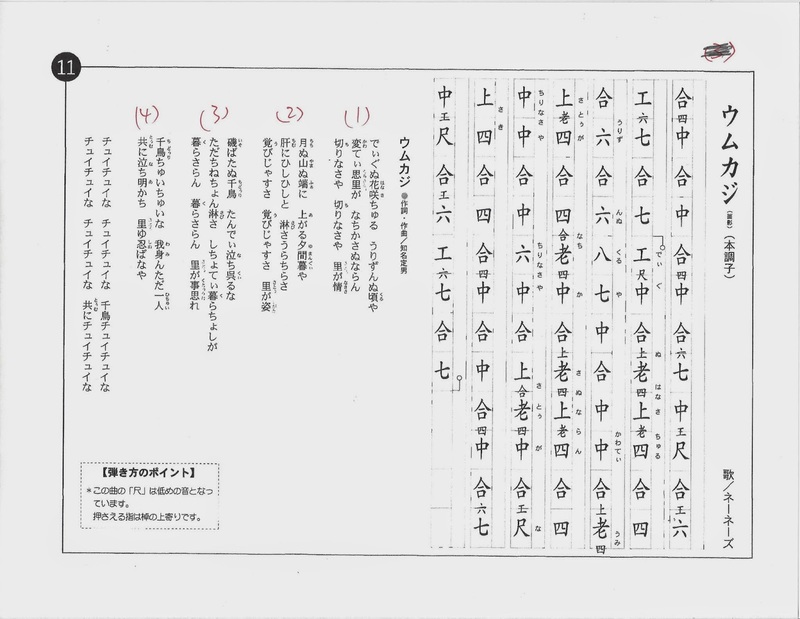 For today's Sanshin lesson, I would like to introduce a song called Umu Kaji . Umu Kaji is one of the hit songs of Ne-ne-zu minyo group. 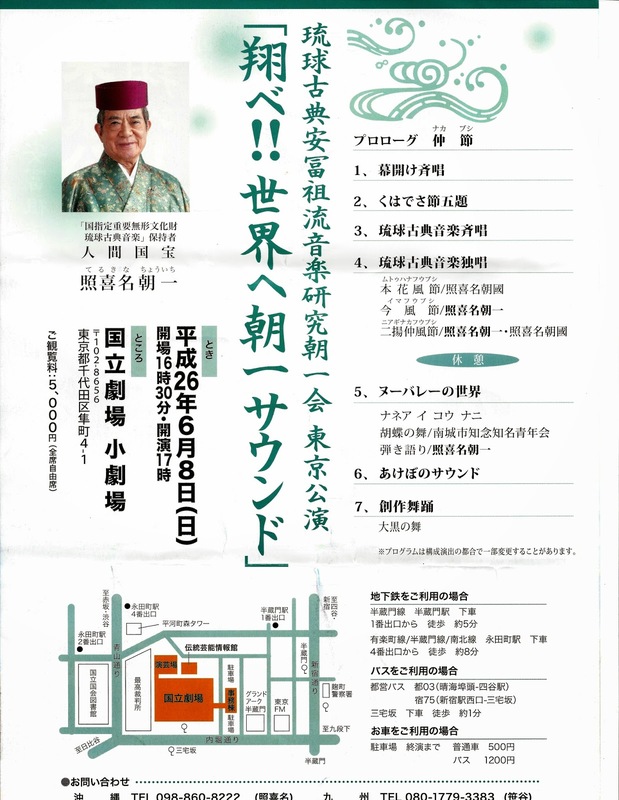 will have his recital at the National Theater in Tokyo. 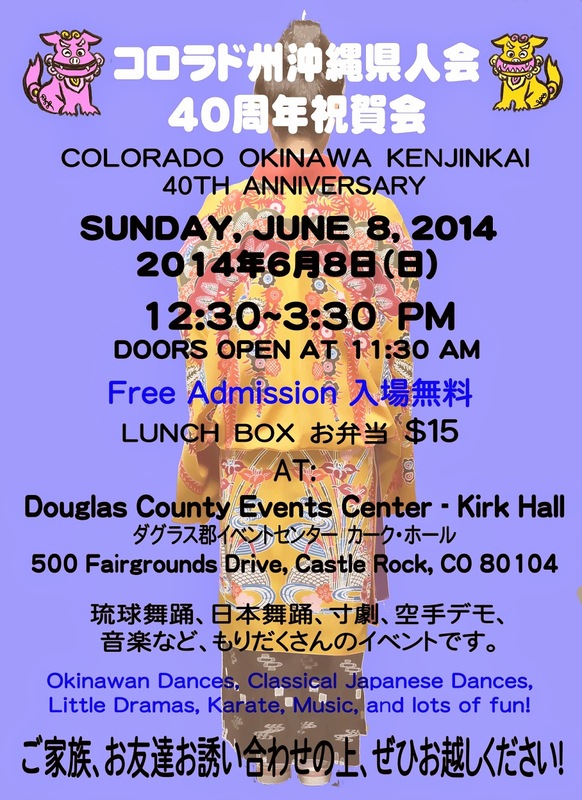 Over 200 members of Choichi Kai will be performing at the recital. 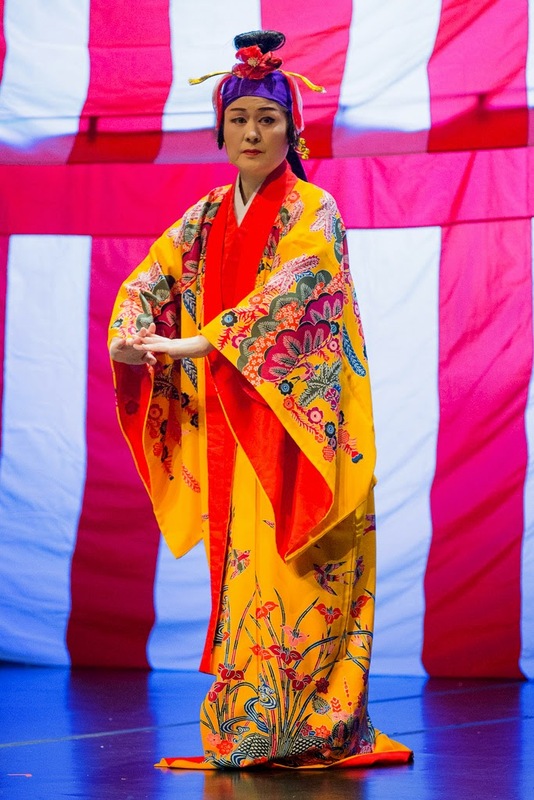 Today, I am doing dance lessons dressed in Kimono. I am still dressing in wool Kimono. What is going on this weather? My Bintaga Costume making is not easy task!